When you choose which room in your home will be the baby room, make sure to chose a quite room away form any noise and it would be great if you could choose a room at the same floor where your room is. Make sure the room has a window on west, south or south west direction, to give your baby the best ventilation. 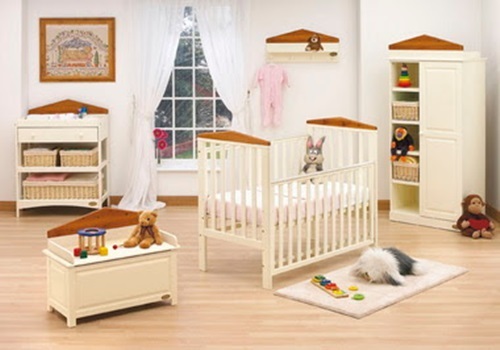 Hardwood flooring is the best choice for babies’ room to provide the needed warm to your baby. Ok, now let’s move to the planning part. Set your budget before you start designing your baby room. When it comes to choosing your baby room theme, you need to do some online searches or give some baby shops a visit, then decide which theme you loved the most to use for your baby room. 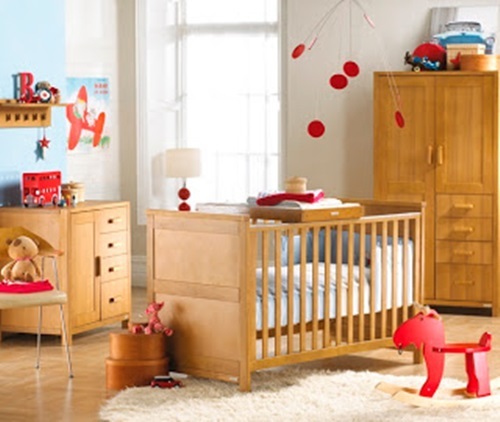 Choosing the furniture pieces is such an important step in designing your baby’s room. 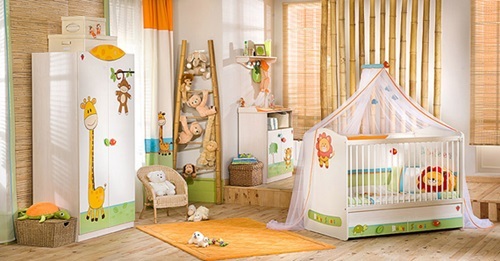 When you choose the furniture, make sure to buy safe, soft and functional pieces and try your best to make the furniture’s style and color matching with the baby room theme that you chose. Make sure to get all the furniture pieces that will make your day with your baby much easier like, changing table, storage places, etc. When you set the furniture pieces in your baby room, make sure to provide enough free space for your baby to crawl and play with his/her toys. Choose different levels of lighting for your baby room, you can hang a pendant for bright lighting and use table or floor lamps as a quite lighting source. 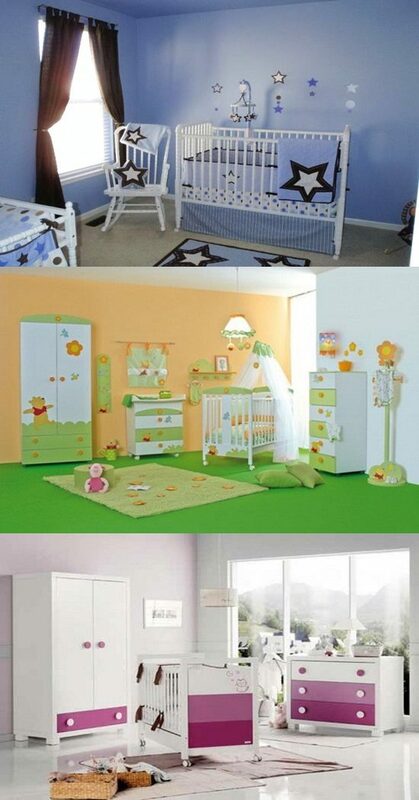 Just make sure to include the general theme of your baby room in every item you choose like, the lamp shades. After choosing all the main furniture pieces, start looking for the fabrics including the blankets, curtains, rugs, sheets, etc, choose the most delicate and soft fabrics for your baby room. Add your magical touch to your baby room by choosing some cute accessories like, books, picture frames, stuffed animal, and soft musical toys. 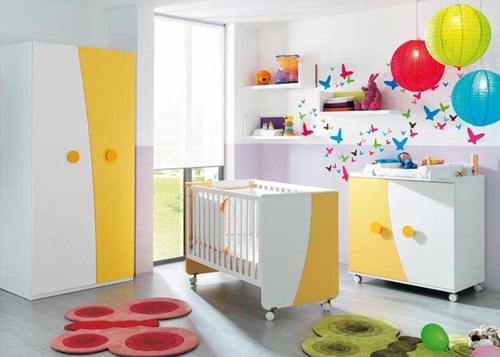 Remember, to choose every item in your baby room matching with the general theme. Start shopping for all your baby stuff like, first aid kit, dippers, clothes, baby bath rope, baby bibs, etc and arrange them in your baby room storage places. 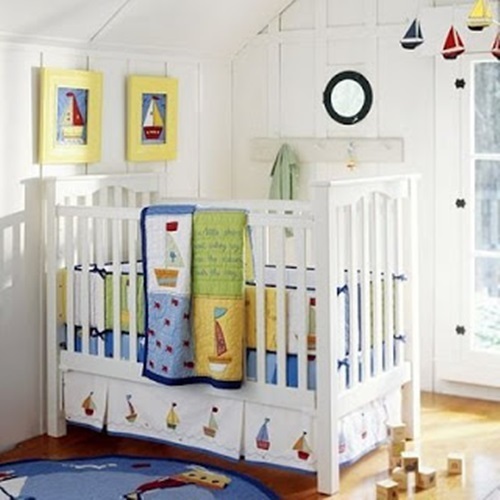 Think of all the joyful and precious moment that you will have with your baby in this room, and then start adding your loving touch to your baby room design.